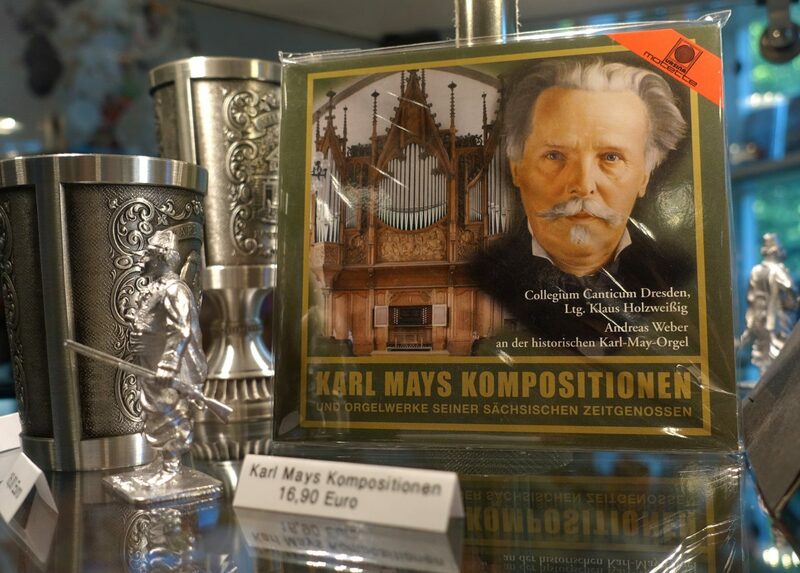 Our in-house museum shop offers you a wide range of Karl May’s works as well as literature on the author, the museum and the topics covered by the Karl May Museum in German. You can also buy our museum magazine “Der Beobachter an der Elbe” (“The Observer by the Elbe”), individual issues of the publications of the Karl May Museum and the historical-critical edition of Karl May’s works. A wide range of gift ideas, toys, literature for children, ornaments, postcards and souvenirs complete the range. The shop is open during the museum opening hours. Do you want to browse at your leisure from the comfort of your home?